From the IAAF World Indoor Championships to the European Championships and Rio Games plus everything in between, it’s been an action-packed and headline-hitting 2016 for athletics. Take a look at the links below and then let us know which stories really stood out for you this year. 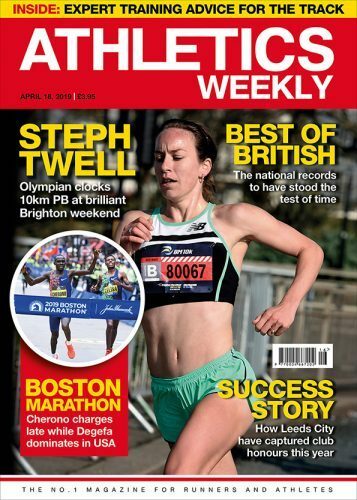 Have your say by tweeting us @AthleticsWeekly, pop a post on Facebook or create a comment beneath this article. » IAAF president Seb Coe released details of a “road map” for athletics “to restore trust and deliver a vision for attracting more young people”. Plans outlined included the doubling of the anti-doping budget from $4m to $8m and the appointment of a CEO. » The IAAF Ethics Commission announced life bans for three senior officials – Papa Massata Diack, Valentin Balakhnichev and Alexei Melnikov. The trio later appealed their bans. A five-year ban was handed to former IAAF anti-doping director Gabriel Dolle. 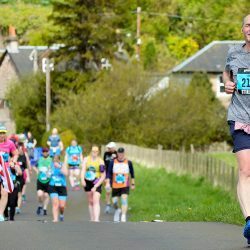 » USA’s Garrett Heath beat Mo Farah to victory at the Great Edinburgh XCountry, while Kate Avery won the women’s race ahead of Fionnuala McCormack. » The World Anti-Doping Agency (WADA) Independent Commission chair Richard Pound gave backing to IAAF president Seb Coe as he presented findings contained within the second part of a WADA report concerning allegations of widespread doping and corruption. » Tom Bosworth proved his fine form at the start of the year by breaking the British indoor 5000m race walk record with a time of 18:54.18 in Slovakia. » Greg Rutherford fired a warning to his rivals by leaping a UK indoor long jump record of 8.26m in Albuquerque, New Mexico. » Genzebe Dibaba broke the world indoor mile record with 4:13.31 at the Globen Galan IAAF World Indoor Tour meeting in Stockholm. » Two days after breaking the world indoor mile record in Sweden, Genzebe Dibaba clocked the second-fastest ever indoor 3000m with 8:22.50 in Spain. » Mo Farah returned to his winning ways at the Glasgow Indoor Grand Prix, clocking 7:39.55 to beat Augustine Choge over 3000m. » Cherry Alexander, head of international and televised events at UK Athletics, was named as the new managing director for London 2017. » Jade Lally broke the English discus record with a throw of 64.22m in Auckland and then improved it to 65.10m. » James Dasaolu and Asha Philip were among the winners on the first day of the Indoor British Championships in Sheffield, while Tom Bosworth smashed the UK 3000m walks record the following day. » The competition timetable for the 2017 IAAF World Championships in London was approved and released by the IAAF. » Wayde van Niekerk made history by becoming the first athlete to break 10 seconds for 100m, 20 seconds for 200m and 44 seconds for 400m. » Host nation USA dominated the IAAF World Indoor Championships in Portland, while Great Britain claimed three medals – silver by Robbie Grabarz and two bronze medals by Lorraine Ugen and Tiffany Porter. 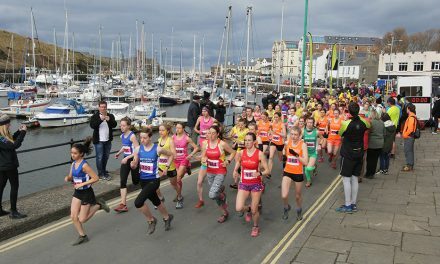 » Geoffrey Kamworor successfully defended his IAAF World Half Marathon Championships title in Cardiff, as Mo Farah bagged bronze, while Peres Jepchirchir led a Kenyan clean sweep in the women’s race. » Atsede Baysa and Lemi Berhanu Hayle won the Boston Marathon, completing the event’s first ever Ethiopian double. 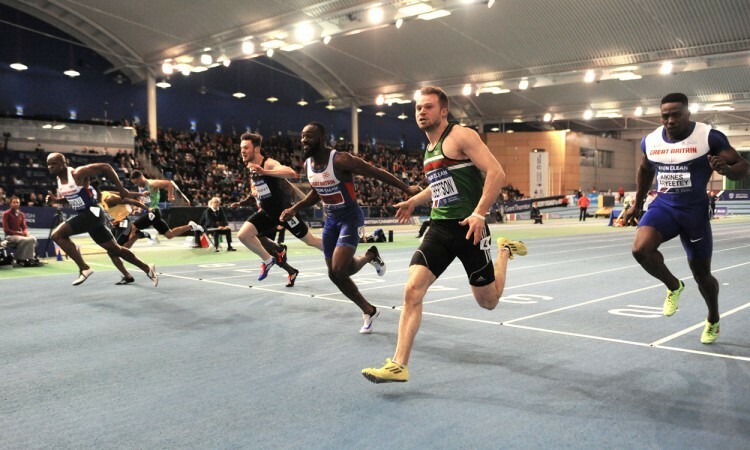 » Glasgow won the race to host the 2019 European Athletics Indoor Championships. » Jemima Sumgong recovered from a fall to win the Virgin Money London Marathon, while Eliud Kipchoge smashed the course record for men’s race victory. » The Great Run Company announced one of the events in the new Great Run British Marathon Series would be the Birmingham International Marathon. » Emma Clayton and Jack Gray won the Great Birmingham 10K, while Team Birmingham secured Birmingham European Capital of Running 10k Cup victory. » Eilidh Doyle produced her fastest ever season opener to win the 400m hurdles in a high quality field at the Doha Diamond League. 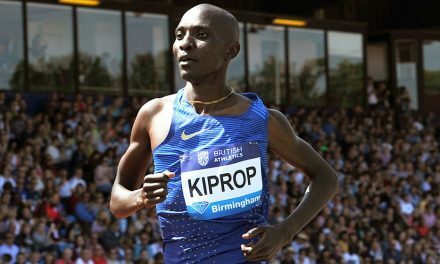 » Hyvin Kiyeng moved to sixth on the 3000m steeplechase all-time list, while Faith Kipyegon, Omar McLeod and Muktar Edris were also among those to claim victories at the Shanghai Diamond League. » Greg Rutherford leapt a Great CityGames long jump record in Manchester, while Tirunesh Dibaba and Kenenisa Bekele won at the Great Manchester Run. » Jess Andrews (now Martin) emerged from the ranks of big outsider to win the women’s race at the Highgate Harriers Night of the 10,000m PBs, securing her place on the GB team for the Olympics. » Almaz Ayana ran the fifth-fastest ever 5000m at the Diamond League meeting in Rabat. » Andrew Butchart broke the Scottish 5000m record in Hengelo, despite running with only one shoe for the latter stages of the race. 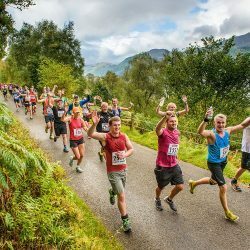 » The Great Run Company revealed details about the new Stirling Scottish Marathon set for spring 2017. » Mo Farah ran his third-fastest ever 10,000m for victory as he opened his Olympic season at the Prefontaine Classic in Eugene. » David Weir made history by becoming the first wheelchair racer to complete a mile in under three minutes at the Vitality Westminster Mile. » Almaz Ayana just missed the world 5000m record with 14:12.59 in the Rome Diamond League. » Mo Farah ran 7:32.62 to break the 34-year-old UK 3000m record at the Birmingham Diamond League. » Dafne Schippers stormed to a 200m Diamond League record in Oslo. » WADA published a damning update report regarding Russian testing. » The GB team claimed a record medal haul at the IPC Athletics European Champs in Grosseto. 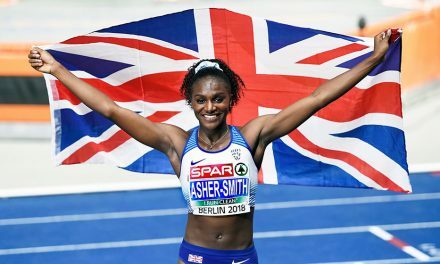 » Dina Asher-Smith became the first British woman to win an IAAF Diamond League 200m race with victory at the BAUHAUS-galan meeting in Stockholm. » Athletes battled for Olympic places at the British Championships in Birmingham. » GB topped the placings table at the European Championships in Amsterdam. » Caster Semenya cruised to a record-breaking 800m win at the Diamond League meet in Monaco. » Kendra Harrison broke the world 100m hurdles record at the Müller Anniversary Games in London, while Usain Bolt made a statement with a 200m win and Laura Muir and the GB 4x100m team broke British records. » Almaz Ayana broke the world 10,000m record in the first athletics final of the Olympics in Rio. » Tom Bosworth smashed the British record for the 20km race walk as he finished sixth in Rio. 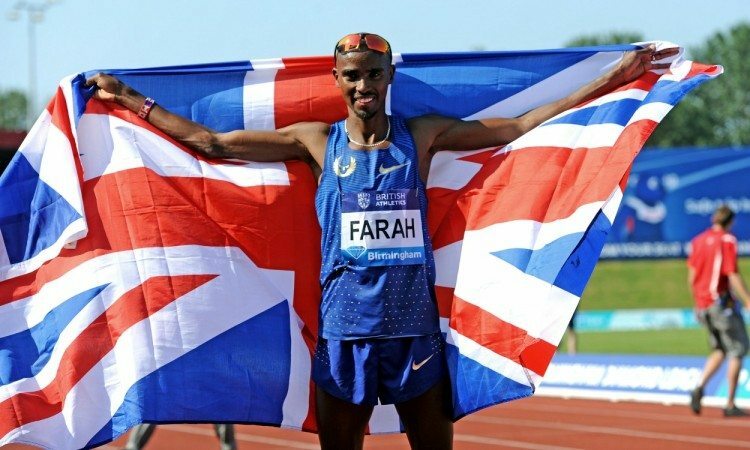 » Mo Farah retained his Olympic 10,000m title, while Jeff Henderson won the long jump and Greg Rutherford bagged bronze. » A PB-filled series saw Nafissatou Thiam claim Olympic heptathlon gold ahead of defending champion Jessica Ennis-Hill in Rio. » Wayde van Niekerk broke the world 400m record for Olympic gold, while Anita Wlodarczyk smashed the world hammer record to take the title. » Usain Bolt anchored Jamaica to 4x100m victory to complete an Olympic ‘triple triple’ in Rio. » Mo Farah won his ninth global gold with 5000m victory in Rio. » Double Olympic champion Elaine Thompson had a fast post-Rio run to win at the Lausanne Diamond League. » Ruth Jebet smashed the world steeplechase record, while Laura Muir broke her own recently set British 1500m best at the Diamond League meeting in Paris. 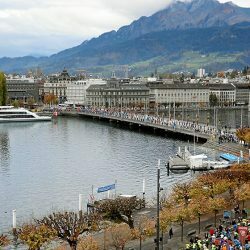 » Elaine Thompson and Laura Muir were again among the Diamond League race winners at the meeting in Zurich. » Sandi Morris broke the Memorial Van Damme pole vault meeting record before attempting the world record, while Britain’s Adam Gemili ran a 19.97 200m PB at the Diamond League season finale in Brussels. » David Rudisha ran a world 500m best at the Great North CityGames in Newcastle. Mo Farah sealed a Great North Run hat-trick, while Vivian Cheruiyot was victorious on her half-marathon debut. 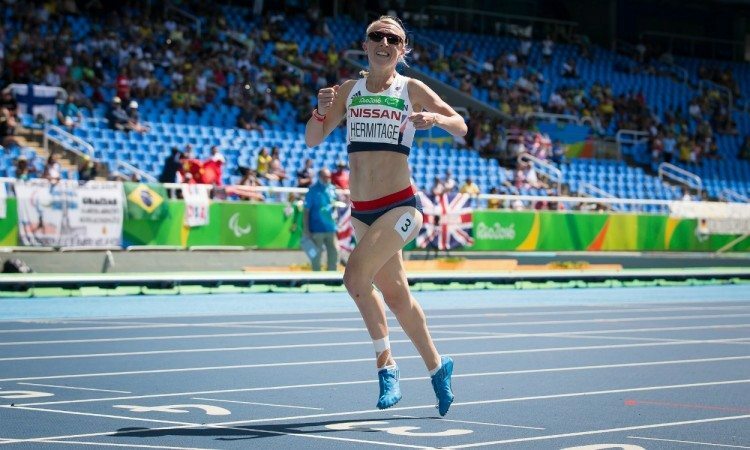 » Georgie Hermitage broke the T37 400m world record for her second Paralympic gold in Rio, while Libby Clegg also completed a sprint double. » Kadeena Cox claimed the Paralympic T38 400m title after a cycling gold in Rio, while Paul Blake gained ParalympicsGB’s 50th gold in Brazil with his 400m win. » Hannah Cockroft continued her dominance to claim a trio of Paralympic titles in Rio. » Former English fell running champion Lauren Jeska admitted the attempted murder of a UK Athletics official at the Alexander Stadium in Birmingham in March. » Kenenisa Bekele won the Berlin Marathon in the second ever fastest time. 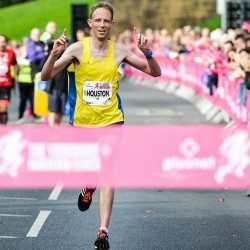 » Callum Hawkins smashed the Scottish half-marathon record as he claimed victory at the Great Scottish Run. » Jessica Ennis-Hill announced her retirement from athletics. » Tirunesh Dibaba and Chris Thompson won the Great South Run. » Mary Keitany and Ghirmay Ghebreslassie won the New York City Marathon. » Tributes were paid to Lucy Pygott and Stacey Burrows after the two talented Aldershot, Farnham and District athletes died after being hit by a car while training. 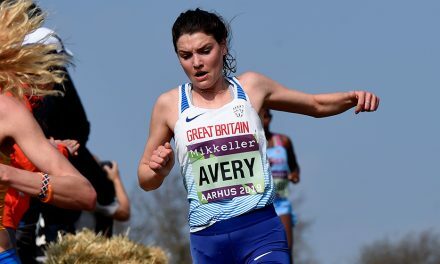 » GB teams gained gold and silver at the IAU 50km World Championships. » It was revealed that Jessica Ennis-Hill would be set to gain a third world heptathlon gold after Russian Tatyana Chernova was stripped of the 2011 title. » The IAAF announced its London 2017 World Championships entry standards. » An IAAF Taskforce ruled that although further progress had been made, the Russian athletics federation had not met the required reinstatement conditions to allow the country’s athletes to return to international competition. » Usain Bolt and Almaz Ayana were named the IAAF World Athletes of the Year. » The IAAF overwhelmingly voted in reforms at a Special Congress in Monaco. » Changes to the IAAF Diamond League series were announced for the 2017 season. 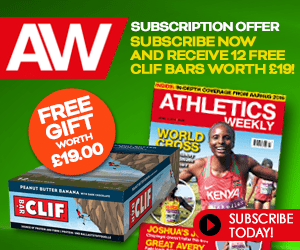 » Mo Farah and Jessica Ennis-Hill were among the winners in the AW Readers’ Choice Awards. » Callum Hawkins claimed an individual bronze to lead Great Britain’s senior men to team gold at the European Cross Country Championships, while their senior female team-mates secured team silver in Chia, Italy.